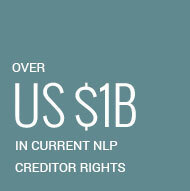 Corstone Capital is a market leader in the acquisition, workout and recovery of non-performing loans (NPLs) in China. With over US $1B in current NPL creditor rights, Corstone has established a strong track record of partnering with leading institutional clients to create substantial return opportunities in this special situations asset class. As an early market entrant with strong on-the-ground relationships and capabilities, Corstone continues to seek selective NPL investment opportunities in China, the world’s second largest NPL market. 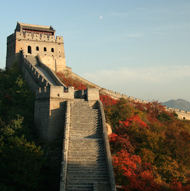 Corstone’s strategic commitment to two asset management companies (AMCs) in China provides our organization with proprietary deal flow and unique capabilities for maximizing asset recovery. Our proprietary asset recovery approach marries Western standards for transparency with local methods and capabilities that we believe are unmatched. As one of the world's growing venture capital firms, Corstone has developed deep domain expertise and insight into the Chinese market. We channel that knowledge into every investment we make.